Triangle Fire Systems have started on site at City Gateway, to provide fire sprinkler protection to the student accommodation. The 15 storey eliptical tower with 2 adjoining 6 storey wings will accommodate 364 student bedrooms for the University of Southampton. 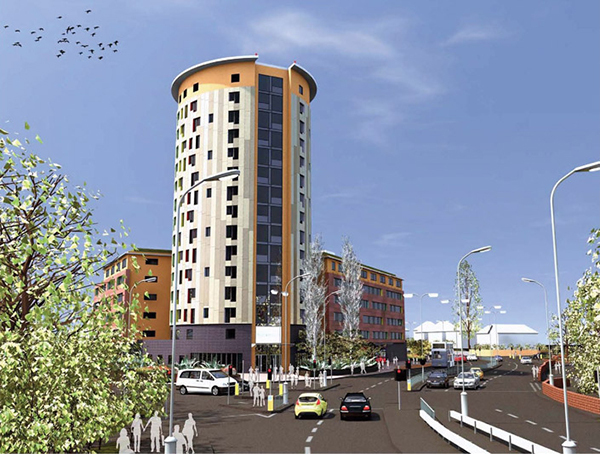 The Warings and Bouygues development is on the northern outskirts of Southampton and is set to become one of the city’s most distinctive buildings. Completion of the project is scheduled for Summer 2014.